Saturday, September 15, 2018, at 2:00 p.m.
Mass of the Resurrection for Sister Patricia will be at Holy Spirit Chapel, Campbell, California. 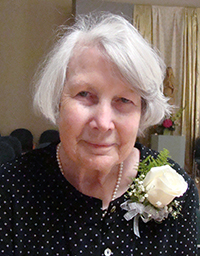 Sister Patricia Bussman, SNJM departed departed this life on September 10, 2018 at Mercy Care and Retirement Center, Oakland, California. Her Mass of Resurrection will be celebrated on Saturday, September 15, 2018, at 2:00 p.m. at Holy Spirit Chapel, Campbell, California. Burial will take place at 10:15 a.m., Tuesday, September 18, 2018, at Holy Sepulchre Cemetery, Hayward, California.